Please lodge your comment today – see below for how. 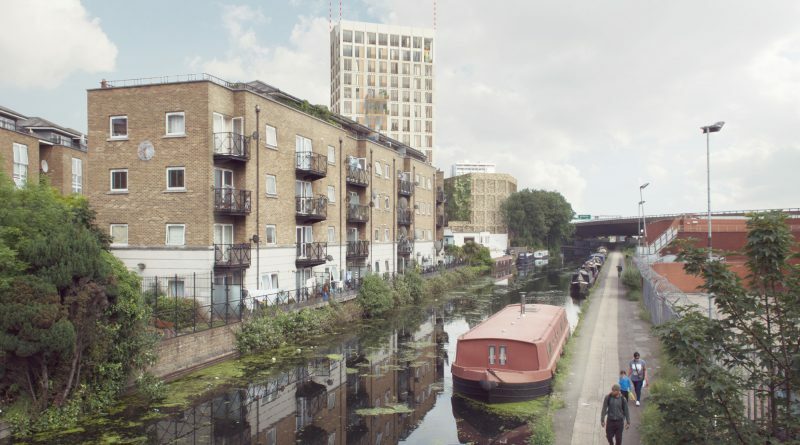 The developers Meadow Real Estate have recently slightly revised their planning application for Hathaway House, a 16 storey tower & mixed use building next to the canal (at the back of the old Harrow Road Police Station) and have resubmitted it. 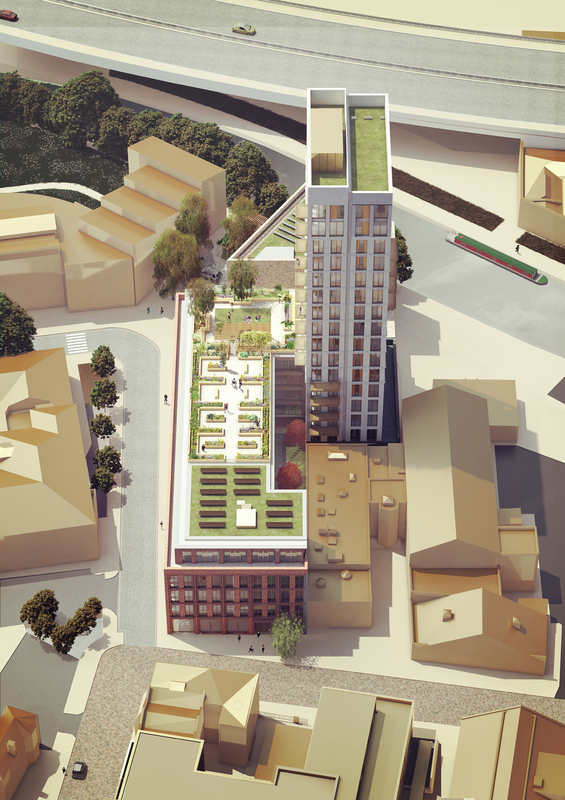 Westminster’s planning committee will decide on the application this Tuesday 13th September. Meadow Real Estate has reduced the tower to 14 storeys, and included two more ‘affordable’ flats so there would be 19 flats out of 74 at 80 % of market value. This is still less than recommended by planning policy. To date, Westminster Council has received 144 objections. These focus on the height and bulk of the proposed building. 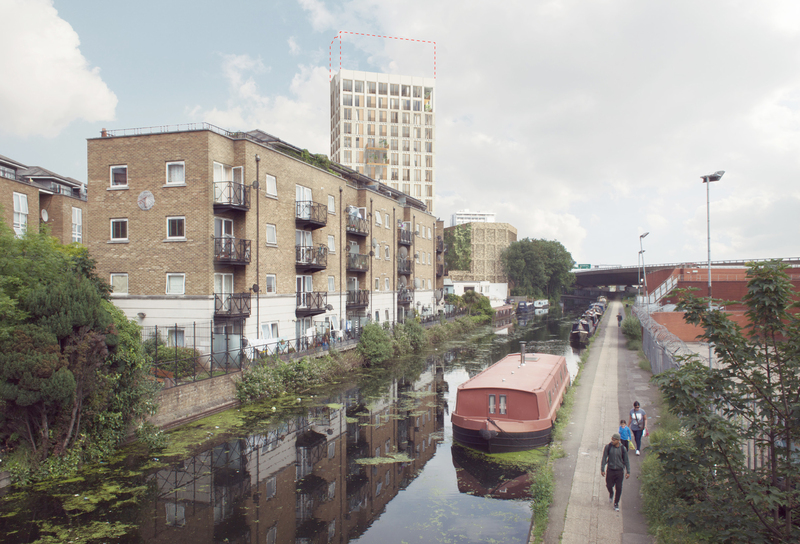 Objections also refer to the lack of social housing and insufficient affordable housing; and loss of an open car park by the canal that has potential as a pocket park. There are 5 comments in support, including praise for the design, and desire to see more affluent spenders living in the area. Westbourne Forum believes that the site could be developed in a much more positive and creative way. 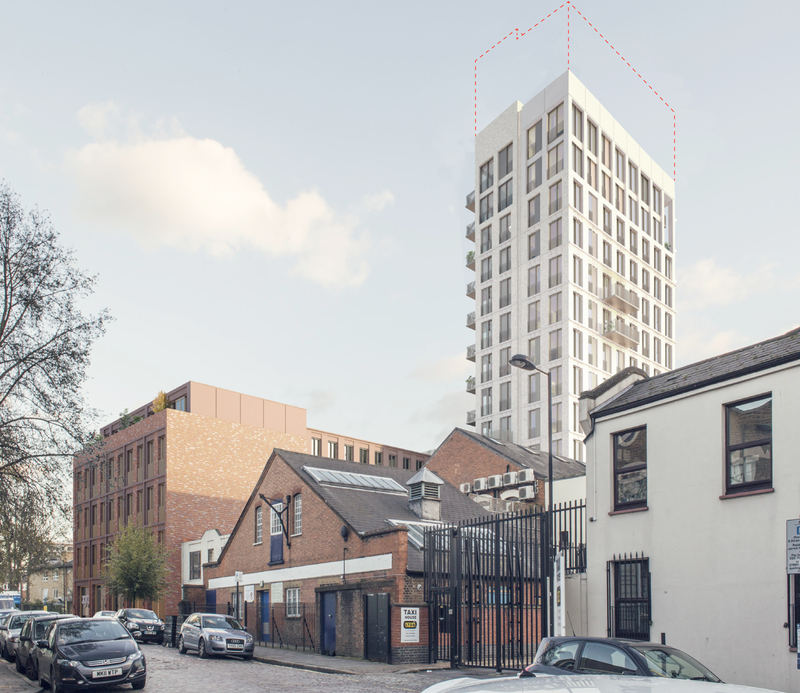 We are concerned that if the current proposal gets permission, this could open the way to more high-rise buildings nearby. A few members of the Maida Hill Forum Committee and Westbourne Forum met with the Meadow Real Estate team in July, to discuss possible compromise. But the Developer’s agent rejected the suggestions from local people for a revised scheme. If you wish to submit an objection or supporting comment, please do so ASAP as it will still be considered by the Committee this Tuesday 13th. If you submitted a comment on the original proposal, it is advised that you send in another brief comment on the new proposal. Or use the postcode W9 2BA to search planning applications on the WCC website.